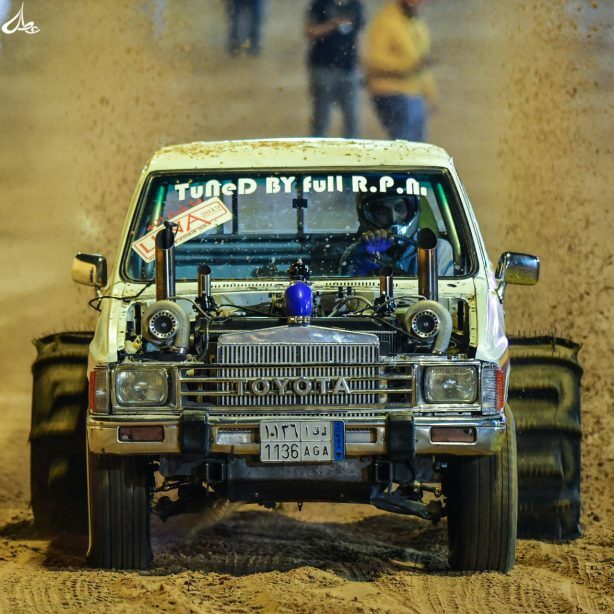 Held annually in Abu Dhabi, the nine day Liwa festival attracts the region’s most powerful 4WDs to take part in a variety of off-road challenges. The highlight of the event is a race to the top of one of the world’s highest sand hills – the Moreeb Dune. At over 300m in height and with an approach angle of 50° the Moreeb Dune is a challenge to all but the most experienced racers. 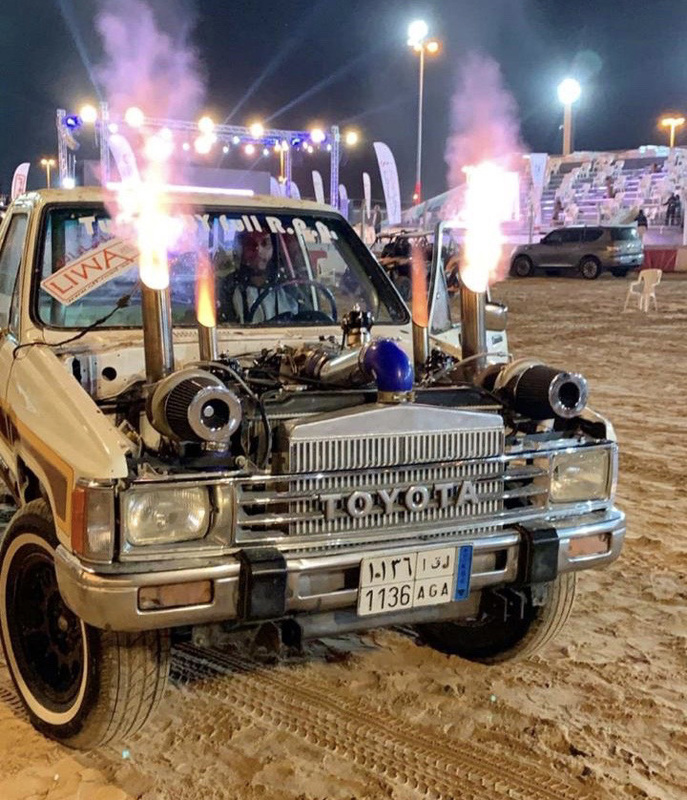 This year, Ibrahim Ahmad Al-Shenaifi and his fire-breathing Hilux have claimed the first place at the event, setting a new record in process. Powered by a twin turbo LS engine the Hilux is controlled by Haltech’s Elite 950 engine management system, tuned by Full RPM. Congratulations to Ibrahim and the Full RPM team on an outstanding effort! 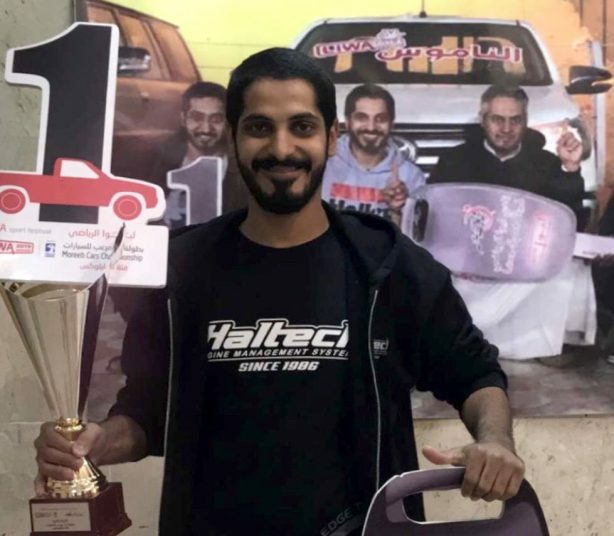 Ibrahim Ahmad Al-Shenaifi wins the Liwa 2019! 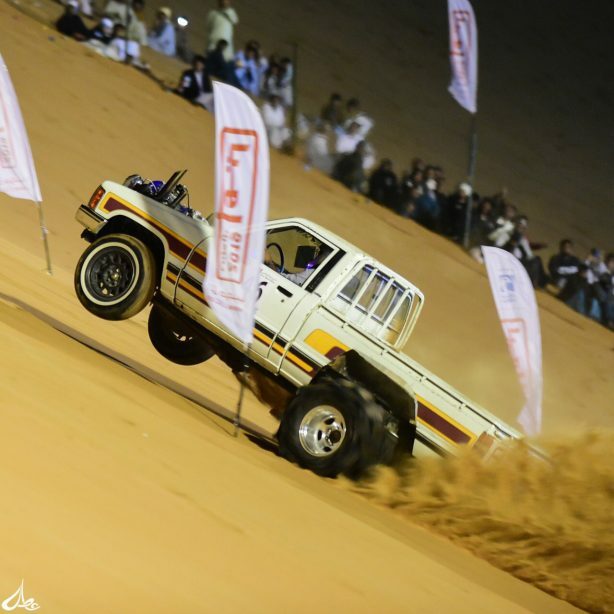 Ibrahim Ahmad Al-Shenaifi conquers the Moreeb Dunes in his Haltech powered Hilux at the 2019 Liwa championship.